We are a full-service restoration company that offers a variety of services you can rely on for all your needs in Massachusetts. Our family-owned and operated business believes in quality, integrity and teamwork, helping us achieve partnerships with our clients that you won’t find with other companies. We can provide virtually all your needs, from simple renovations to your home or business, to major additions.At Hmb Restoration, we have been providing restoration services for many years and believe building partnerships with our clients is what makes each project a success. 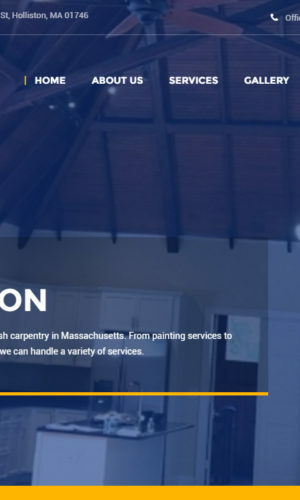 We are a full-service restoration company that offers a variety of services you can rely on for all your needs in Massachusetts. Our family-owned and operated business believes in quality, integrity and teamwork, helping us achieve partnerships with our clients that you won’t find with other companies. We can provide virtually all your needs, from simple renovations to your home or business, to major additions.